REG Windpower are contributing to a fund to support good causes local to the Goonhilly Wind Farm. Since the beginning of 2012, the Goonhilly Community Fund has invested more than £200,000. At the Fund’s recent Grant Panel meeting, a further £9500 was approved to support the work of local organisations. Among the successful applicants, St Keverne Band was supported with an award of £3000 for essential improvements to their Band Room.As well as rehearsals for junior, youth and senior bands, the room is used for local functions including the polling station for local elections. St Keverne Band is the most southerly brass band on the British mainland and the Band emphasises the need to train young players. This has brought the band great success, with the Youth Band winning numerous National titles and invitations to tour Europe and Canada, performing in front of large audiences. 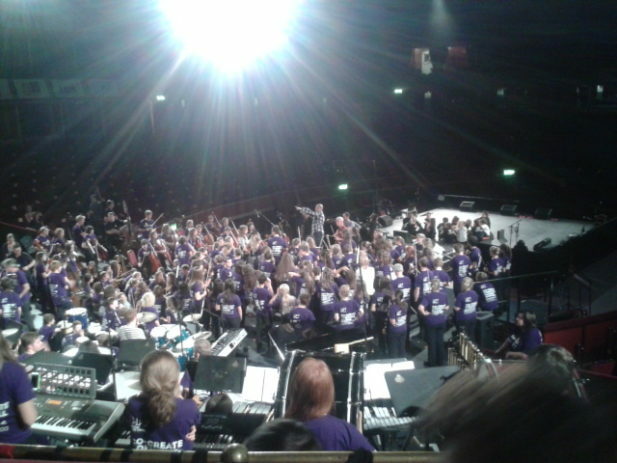 Both Senior and Youth Bands have performed at the Royal Albert Hall and other prestigious venues. An award of £4500 will enable the Methodist Church in St Keverne to install new doors and ramps to improve the safety of and disability access which is used by many community groups in the area. Grants were also approved for Maen Voes Choir and Mullion Old Cornwall Society. Any not for profit organisation that is based in and for the benefit of people in the TR12 postcode area can apply to the Fund. For further details, click here.